Apple promised that the Lightning cables will deliver durability but as we are witnessing that promise isn’t really being delivered. The ends of the Lightning cables attached to the connector get frayed over time giving us some real trouble. Most of this happens because of pulling the charger from the cable rather than the connector. However, even if you take the above precaution, frayed Lightning cables is a notion that you will have to experience anyway. Here are some tips on how to prevent and fix frayed Lightning cables of your precious iPhones and iPads. Considering that most of the damage is done to the cables by pulling it from the cable rather than the connector, it would be nice if you start pitying the poor cable and giving the pull-out pressure on the connector itself, rather than the sensitive cable. To avoid twisting of the cable, a simple and yet helpful tip is to use a spring at the end of the connector. Get some spring from any of the used up pens laying around your room and twirl it around the end of the cable. 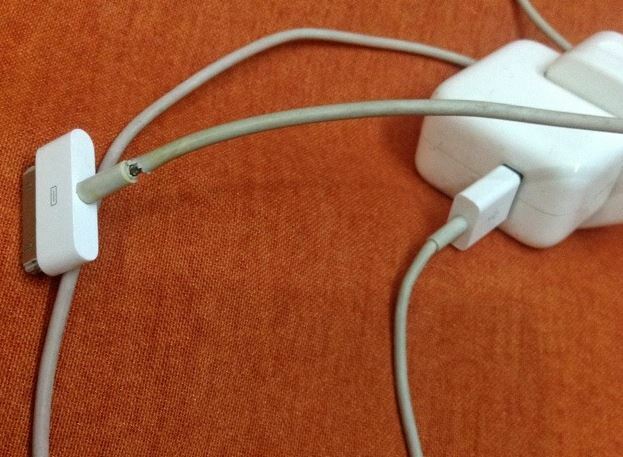 This will ensure that the Lightning cable is not bent for a longer time maximizing its lifetime. 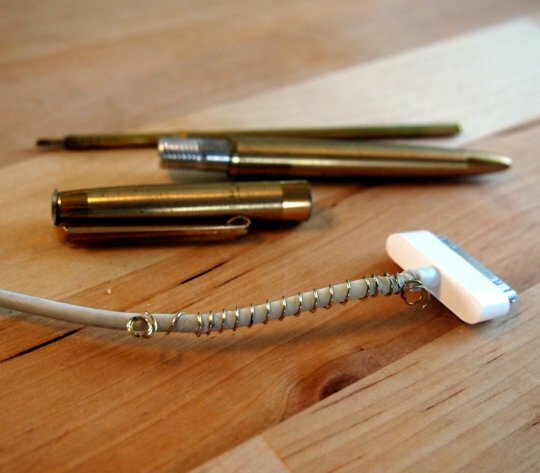 Now to the crucial case of frayed Lightning cables and how to actually fix them. The old wisdom tells us to use some tape around the frayed part of the cable to avoid any more damage. For the better, or rather best, option though go to the Apple Store and get a replacement of your cable. Interwebs tell us that angels manning the Apple Stores don’t really ask for any details when you take your Lightning cable and your iPhone / iPad. No warranty checks, nothing. Hope you too get lucky and get a free replacement. You can also buy a new Lightning cable for $19 from the Apple Store or from Amazon for $10.